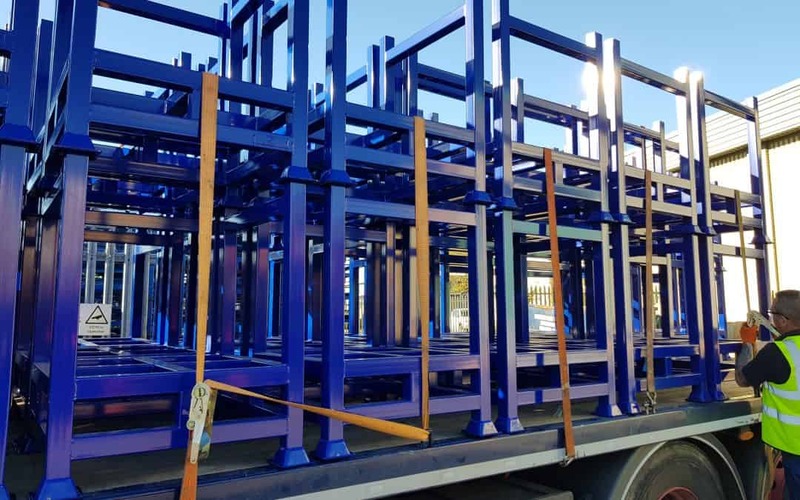 Metal pallets have their uses across many different industries and can be relied upon to transport and store goods safely and securely. If you are looking for metal pallets in Birmingham you don’t have to look far. Range Storage Equipment are based in Dewsbury Yorkshire and have been manufacturing metal pallets for a range of industries since the late 1970s. We are proud to provide our clients with high-quality metal pallets that are durable and will continue to function after many others would bend and buckle. When most people think of metal pallets, they think that they can only be used exclusively in a heavy industry setting. Whilst this is partly true, our metal pallets can be used in almost every industry setting. Many of our most valued clients work the food processing industry and value our pallets for their hygienic properties. The food processing industry is very regulated and is subject to many hygiene and cleanliness requirements. Stainless steel pallets are prized for their hygienic properties and ability to safely store and transport foodstuffs. Stainless steel is inert and resistant to corrosion which means that it can be cleaned and disinfected again and again without degrading. If you work in food processing and are looking for metal pallets in Birmingham, contact Range Storage Equipment today. Powder coating is a great way to add a tough wearing colour finish to a metal pallet. It is superior to the kind of coating offered by paint and is not toxic. The process of powder coating involves baking a chemical powdered mix onto the metal pallet at a high temperature so that it forms an even coating. The powder mix consists of pigment, polymer resin and levelling agents which when exposed to the right temperature, will become molecularly altered and very tough. Our own in-house powder coating station allows us to quickly and efficiently produce quality powder coated metal pallets. We also offer a variety of different colours which is very useful for colour designating certain pallets. Every production process is unique in its own way and so all storage equipment to aid that process needs to be built specifically. Whether you need certain dimensions that aren’t available in off the shelf models, or you need casters for mobility, Range Storage Equipment can supply the unbeatable bespoke metal pallets in Birmingham. From the CAD design to fabrication and finishing, each process is done in-house by a dedicated and experienced team. We do not contract any part of the process to exterior companies which mean there is seamless communication between our specialist teams at all times. This results in the production of a quality product time and time again. At Range Storage Equipment we have been supplying many Birmingham based clients with highly durable metal Pallets. We take our production process very seriously and will never change anything that could compromise the quality of our products. We can cover large orders or single one-off requests so if you are looking for any size order of metal pallets in Birmingham, we are ready for your call. We are CHAS approved and hold the ISO 9001 certification as well as being ROSPA compliant so you can be sure that our steel pallets will always exceed expectations. Quality and value for money are two things we like to deliver for all customers. We will always strive to price as competitive as possible and will make every effort to match prices quoted for any similar products elsewhere. To find out more, speak to our metal pallets experts onl 01274 736363 or send us an enquiry.